Wyoming is like one giant national park. 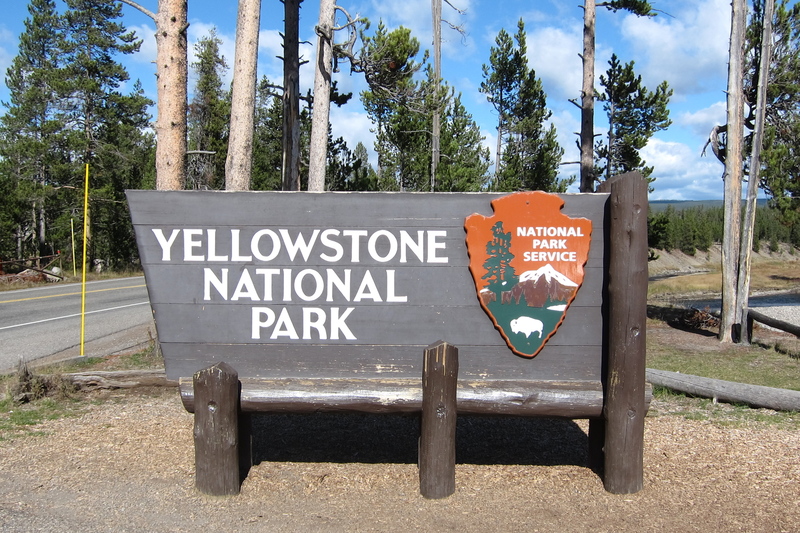 No sooner do you leave the Tetons going north than you land in Yellowstone, America’s very first (and some would say best) national park, established in 1872. This is where we expected to find the real animal treasure trove. We weren’t disappointed. Six hours into our visit we’ve “bagged” seven animal species and barely broken a sweat. 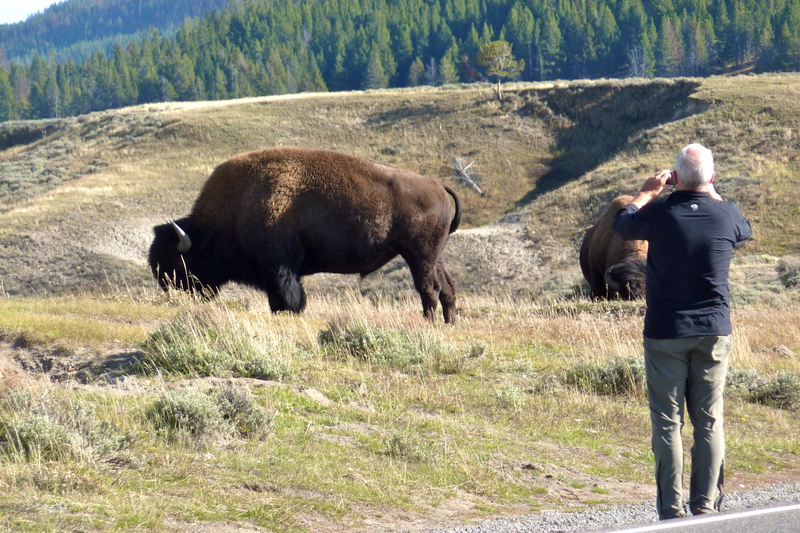 Park visitors are told to stay 100 yards from a grizzly or wolf and 25 yards from a bison. Michael wasn’t exactly following that rule here. Probably more like 25 feet. 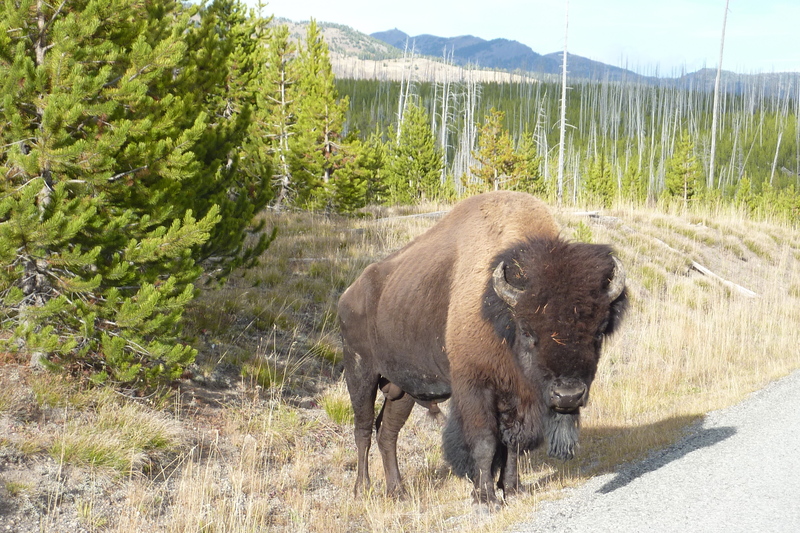 And this is the bison we saw while talking on the phone with Michael’s brother, Daniel, back in Maryland. We rounded the corner and came upon this guy. Four feet from the car. We couldn’t help it, we swear. 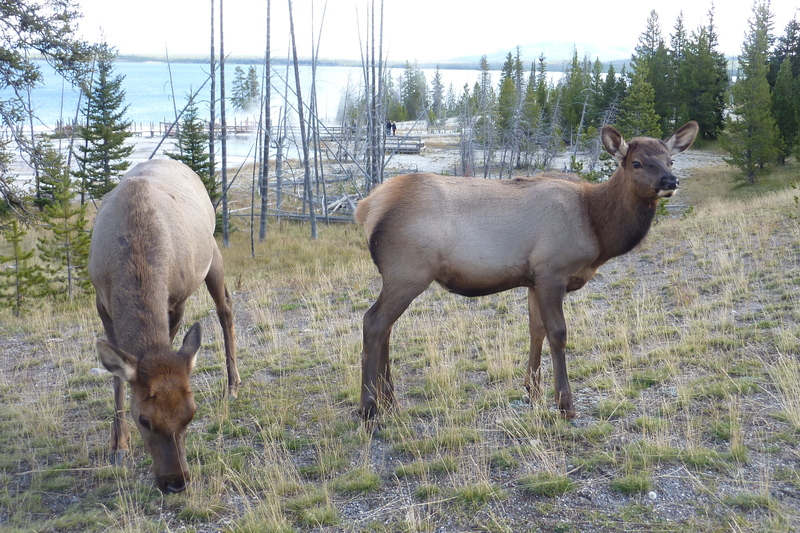 We also saw more elk, much closer this time. 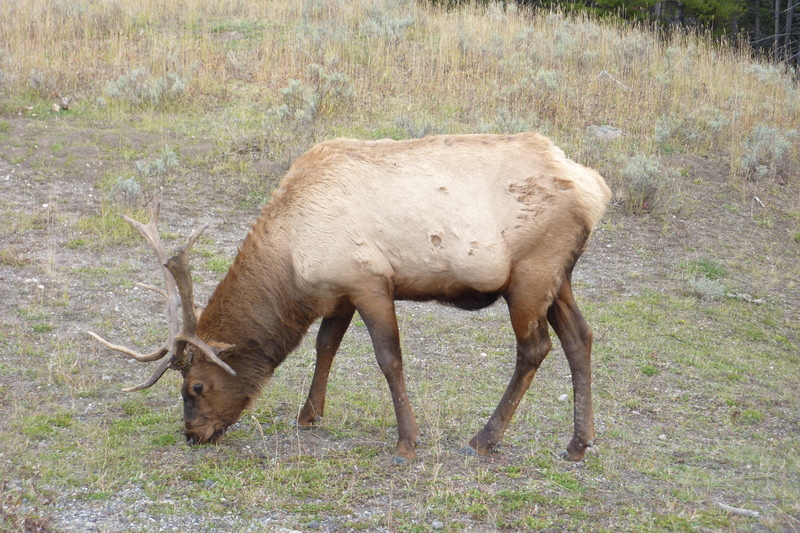 A bull with at least an 8-point rack. And his harem. Note the light-colored hind quarters. Nancy at least 25 yards away, right? 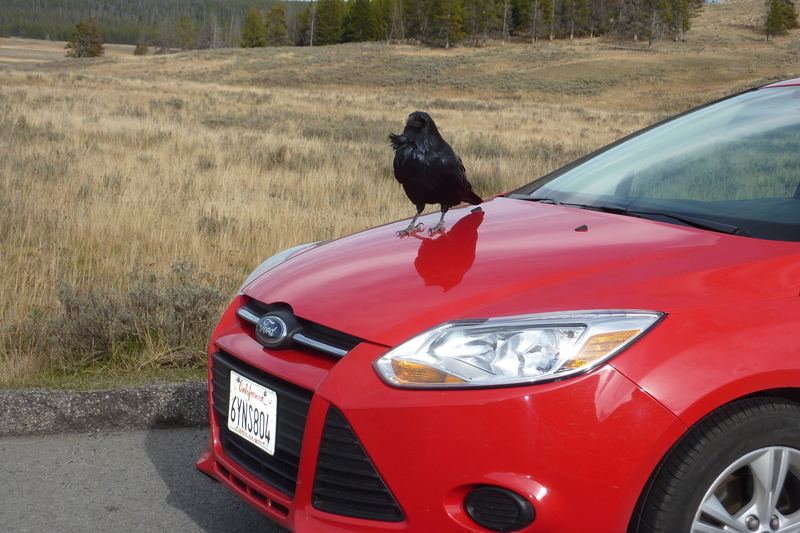 And a personal favorite, this black carrion bird perched on a car near the grizzly sighting. We think this pair of birds were just waiting for the bear to attack and devour the car’s owners. Then the birds would pick their bones clean. We thought buzzards circled overhead. 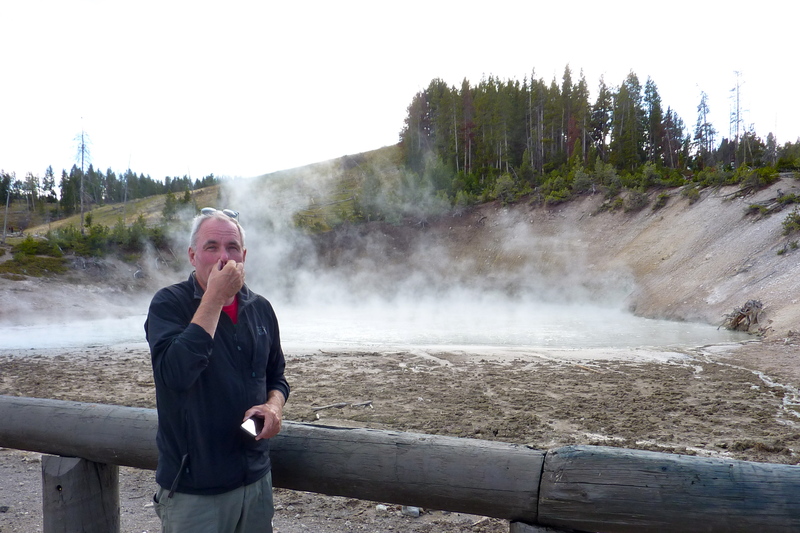 Besides wildlife, Yellowstone is known for geysers, not just Old Faithful, but over 10,000 steamvents, mudpots, geyers, and sulfurous hot springs scattered throughout the park. 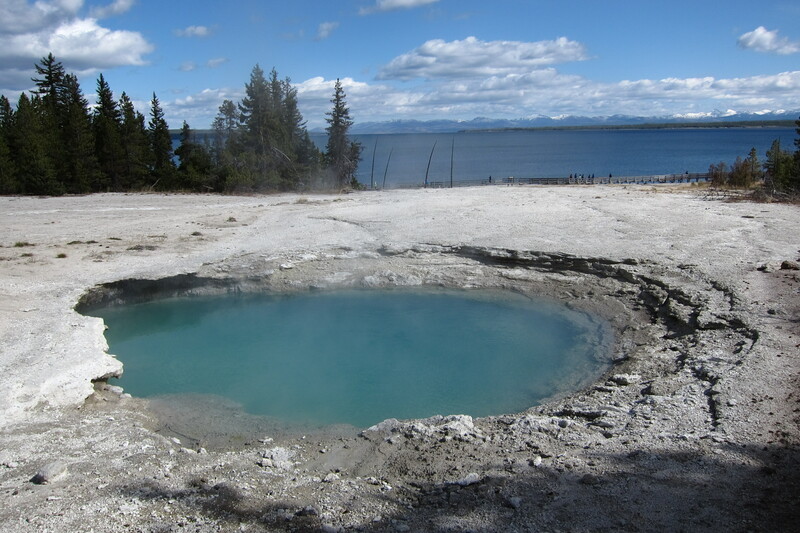 In fact, most of Yellowstone is a giant caldera, or cauldron. Brian Williams even reported on the “news” earlier this year that Yellowstone was one giant supervolcano that was going to blow any time and wipe out massive parts of the US. 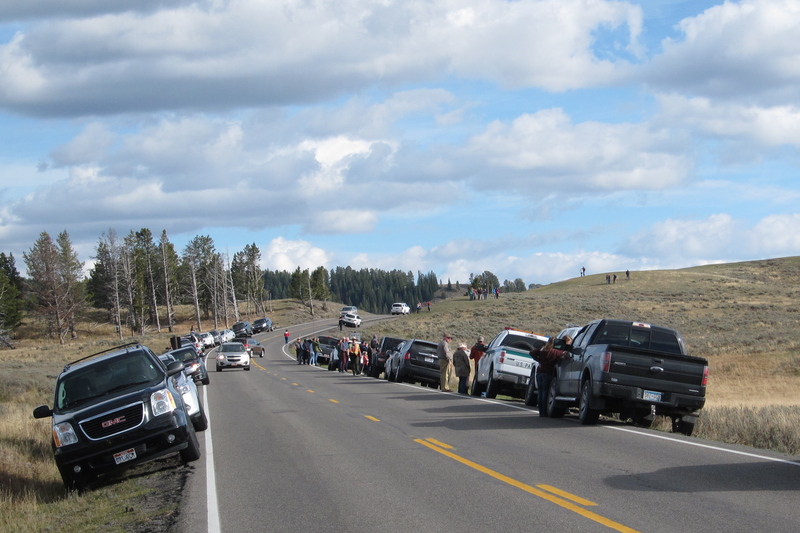 Read the NPS response, saying that it is just a hoax…we hope. Ready to blow or not, these baths smell like sulfur. They’re actually sulfuric acid at a pH of 1.0, and some are so hot they’re boiling. Smells just like Rotorua, New Zealand. This thermal activity has wiped out forests practically overnight. The surface temperature away from the geyser reached 200 degrees F a few years ago and killed off a whole hillside of trees. 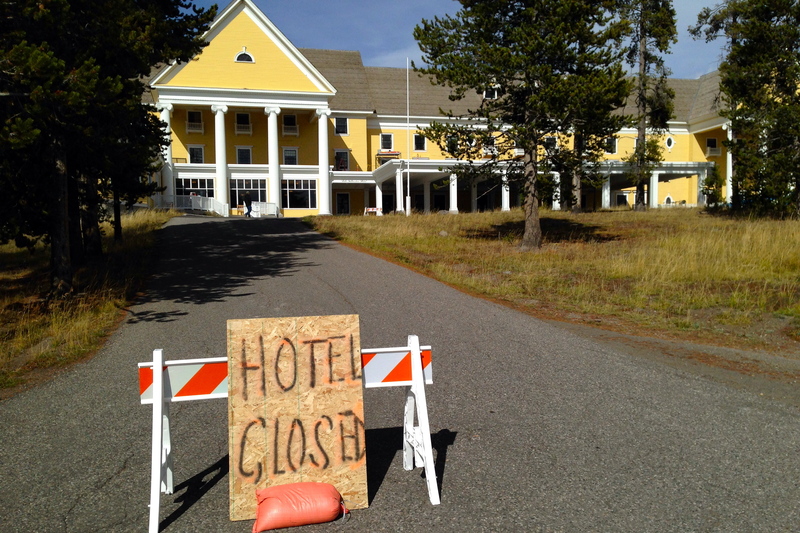 Just as at Teton NP, today was the last day for lodge operations at Yellowstone. 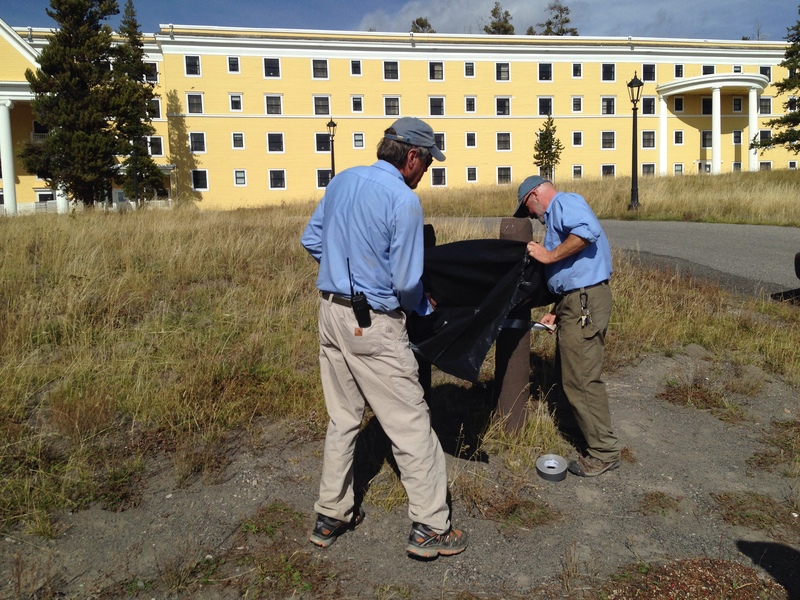 We caught the housekeeping staff having a wine toast in front of the Lake Yellowstone Hotel. And two of the groundskeepers were covering the entrance sign just to be sure no one tried to check in. Dale, at the left, stays here year-round, alone, as caretaker. Anyone hearing the theme music from The Shining? 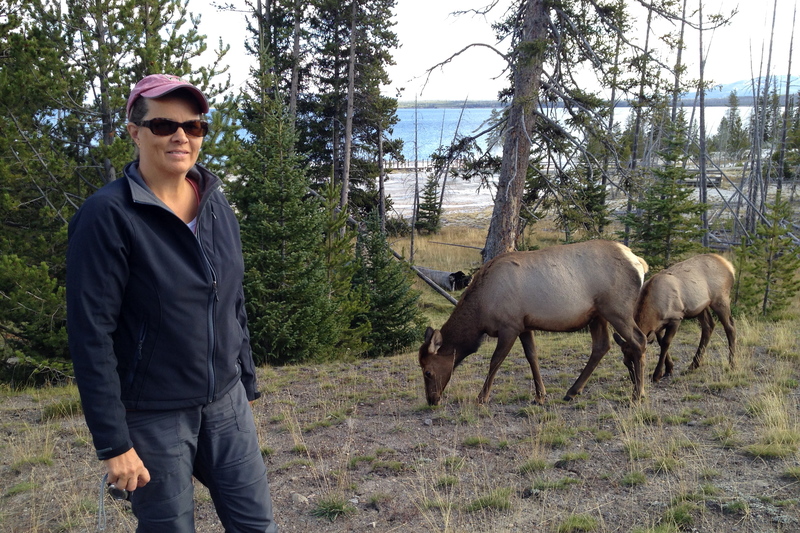 This entry was posted in Travel Journal and tagged buffalo, elk, geysers, national park, wildlife, Wyoming, Yellowstone. Bookmark the permalink.